We have made huge improvements in the everyday lives of the Chilean orphans and children we work with. ABV volunteer support has helped expand the orphanage services, contributed to the improvement in literacy levels in the pre-school and provided hours of caring and concern for the for the young children. 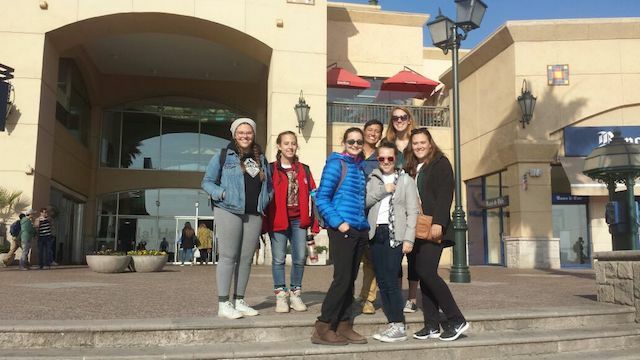 With housing available up to 10 volunteers, A Broader View has hosted hundreds of high school student groups, family volunteer groups in La Serena Chile. For many high school students their service in Chile accounts for academic or community service credit through their school. Teenage volunteers (16-19) programs are popular over Spring and Winter Break, and for summer volunteer abroad projects. If you have a group of 5 or more interested in volunteering together, customized programs can be arranged. A Broader View Volunteers has extensive experience working with students and teachers providing tailor-made service trips for small groups. Chile's striking natural wonders, its rich cultural history, friendly people and stable government make it an ideal place to visit and volunteer! Although Chile boasts one of the most stable economies in South America, Chile suffers from one of the most uneven distributions of wealth in the world. There are estimates that almost 60% of Chileans live near or below poverty levels, with almost 3 million living in extreme poverty. ABV Volunteer project focus on supporting the children of Chile, at a very large orphanage and in several schools in La Serena. Volunteer in Chile with A Broader View Volunteers a top rated non-profit charity organization, which works tirelessly to support our wonderful volunteers and serve the local communities where our volunteer programs are located. Placements in Chile are based in the Colonial city of La Serena. Program placements are tailored to the volunteers different interests and skill sets, but still allow volunteers time to explore the Andean local culture and activities during their free time. The type of programs in Chile vary widely, offering everything from education to health care. Volunteers can choose between seven options in La Serena. 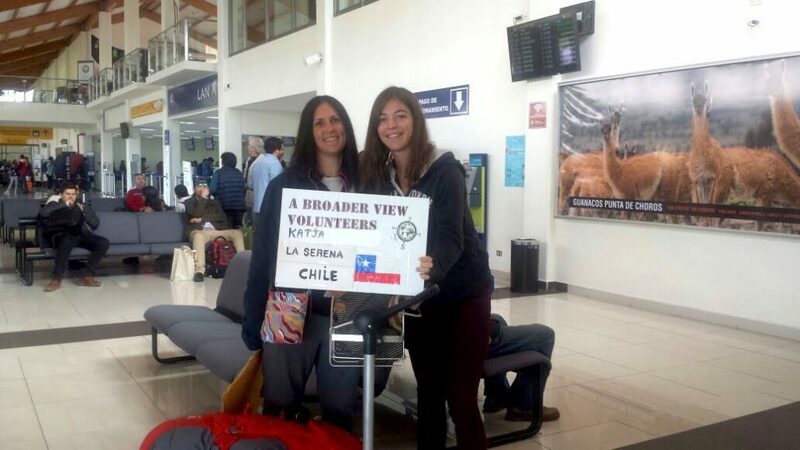 International volunteer help is not only appreciated by the local community, it is severely needed by the millions of Chileans living below the poverty line. With thousands of children living and working on the streets, as is so often the case in developing countries like Chile, our volunteer programs are designed to support the needs of local teens and children in desperate need of assistance. Many of our volunteer abroad programs cater to underprivileged women and children’s care, education and health requirements. Our extensive range of social programs in La Serena, Chile includes: medical, premed/prenurse internships, teaching in primary and secondary schools and volunteering in orphanages and day care centers. To help you settle into your placement, we also provide the opportunity to combine all of our programs with Spanish Immersion Lessons during your time in Chile. Volunteering in Chile is an incredibly rewarding experience. We welcome volunteers of all ages and from all backgrounds to join us. Whether you’re seeking volunteer abroad programs for college students or voluntary work for over 60s, as a trusted non-profit organization which prioritizes the safety of our volunteers, we are the go-to for volunteers across the globe. We also offer customized programs with flexible arrival dates to best suit the needs of the remarkable volunteers we depend on to help us make the world a better place. 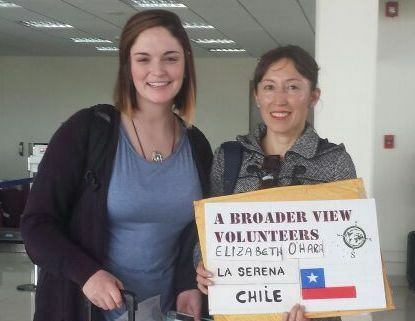 If you’d like to volunteer, Chile is just one of the countries we’ve taken under our wing, supplying a steady flow of volunteers and providing year-round financial support to local projects in La Serena. Wherever you decide to volunteer, A Broader View give you the opportunity to participate in meaningful community service work, learn a foreign language, make lifelong friends and discover that one person really can make a difference. Your search for the best volunteer abroad programs ends here – volunteer in Chile with us and gain A Broader View of the world. Welcome to Chile (Bienvenido (a) a Chile). My name is Vilma and I am your ABV coordinator while you are staying in Chile. Our country has one big city, Santiago and 15 regions. But you will be working in La Serena which is a place of 400.000 inhabitants out of over 18 million population. I will be ready for support 24/7 in case you need to contact me urgently. I will introduce you to your volunteer location and staff. La Serena has a cool desert climate. Summers and winters are very dry. Rain falls only a few times a year in heavy downpours. Although the temperature during the day is very hot, it can drop strongly during the night and sometimes below freezing. During the months of January, February, March and December you are most likely to experience good weather with pleasant average temperatures. La Serena has dry periods in January, February, March, April, May, August, September, October, November and December. Chile I had a wonderful experience working with the children and elderly people. I learned so much about Chilean culture and really improved my Spanish. I also made some great friends with other ABV volunteers and people at my work. Extra costs: Flights to Chile. Entry Visa (if applicable). Departure taxes. Vaccinations. Local Transportation. Travel & Health Insurance (approx. us$53). Laundry and Internet (us$10 and us$15). Volunteers are provided breakfast, lunch and dinner at their accommodation during the week and Breakfast and dinner for the weekend. Breakfast typically consists of toast, fruit, eggs, cereal accompanied with tea or coffee. Dinner usually includes: meat (cow, chicken), potato, rice, vegetables and cazuela (soup), empanadas, pastel de choclo, all national dishes of Chile. Volunteers are usually away from their accommodation mid-day so they take a lunch bag. We recommend budgeting between US$5 and US$10 per day to purchase lunch if you don't return to the host family, let the host family know if you change the lunch plans. If you have specific dietary requirements, our local teams and home-stays can customize to you but be flexible as well. The Día de las Glorias Navales takes place on May 21 each year to remember the death of Captain Arturo Prats, a national hero in the Iquique naval battle against Peruvian vessels in the War of the Pacific. Residents of the coastal cities deck out small boats with Chilean flags and cast flowers into the sea to commemorate the event. From June 12-17 every year, the small town of La Tirana in the Atacama desert hosts the Fiesta de la Tirana, also known as the Festival of the Virgen del Carmen. One of Chile’s most anticipated events, it is characterized by musicians playing drums, flutes and whistles while dancers clad in macabre carnival style masks and costumes enact the diablada (dance of the devils) to exorcise demons. The festival also pays homage to Chile’s patron saint, the Catholic Our Lady of Mount Carmel, represents a blending of local indigenous and Catholic traditions and beliefs. People with indigenous heritage make processionals to the Virgin’s sanctuary, take part in masses then rejoice in street parties with stalls selling handicrafts and food. Chile celebrates its independence through the Fiestas Patrias on September 18 each year. Street stalls and temporary thatched armadas are erected from tree branches and other materials to house dance floors, bands and tables. Celebrations include parades, music, dance competitions, traditional Chilean food, and rodeos where two horsemen attempt to correctly coral a calf in an arena for points. Christmas Eve is a family event on December 25 characterized by gift-giving, eating fruitcake called pan de Pascua and drinking a concoction of spirits, milk, sugar, coffee and cinnamon called cola de mono. Christmas trees are decorated with fake snow and a nativity scene. Christmas Day is a public holiday when the faithful attend mass and sing carols. Feasting is a large part of the celebration and, as the festivities take place during summer, many go to the beach or take part in other outdoor activities like hiking or rock climbing.